Everything and more - this is the motto of this excursion! 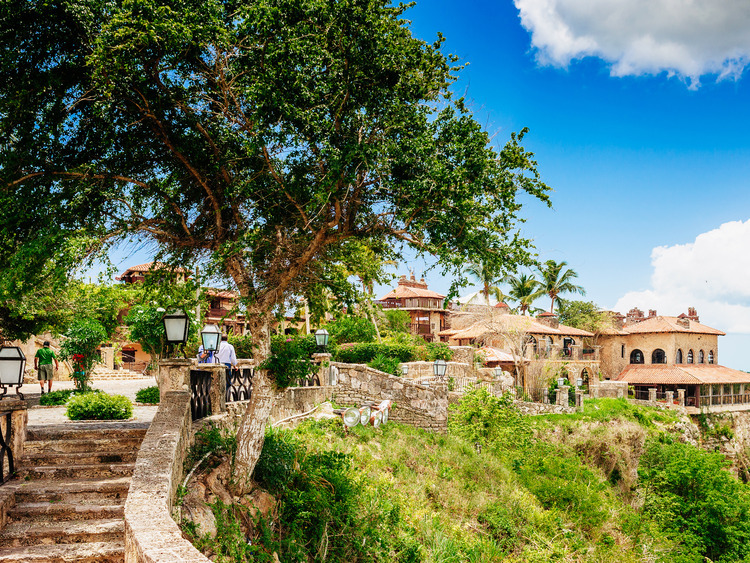 A wonderful journey through the picturesque centre of La Romana and a stroll around a charming town followed by a tour to discover all the fascinating secrets of Dominican cigars. The visit to a foundation providing a better future for children and to a historic museum on the Spanish conquest are the perfect way to end an unforgettable experience. We get on an air-conditioned coach and reach the city centre, where we admire the colourful obelisk erected between Avenida Libertad and Calle Dr. Teófilo Hernández, recently renovated with decorations and paintings depicting La Romana’s local identity and tourist attractions. We then move on to the town of Altos de Chavón, overlooking the valley and copy of a 16th-century Mediterranean village. Every stone, wood and wrought iron detail is hand crafted. We see some of the town’s main attractions: a large Greek-style amphitheatre, the Archaeological Museum displaying precious artefacts from Pre-Columbian times, the school of design and St. Stanislaus Church. We move on and stop at Tabacalera La Vega Fina, a family business founded in 1876 producing some of the best Dominican cigars. During our guided tour of the company, we discover all the secrets of tobacco plantations as well as the procedures to make cigars. We then visit the Corazón a Corazón foundation, a non-governmental organisation that teaches arts and crafts to children and young people from nearby villages to make them competitive on the market. Before leaving, we can purchase paintings, pieces of jewellery and various items made by the students in the shop. The last stop on our excursion is the Conquista Park, the largest historical reconstruction in the Caribbean illustrating the first encounter between the local Taino Indios and the Spanish conquistadores in the heart of a traditional village that comes back to life thanks to 247 life-size figures recreating 27 scenes. Audio-guides in 6 different languages available at Conquista Park. This excursion involves walking over pebble roads and up and down steps.